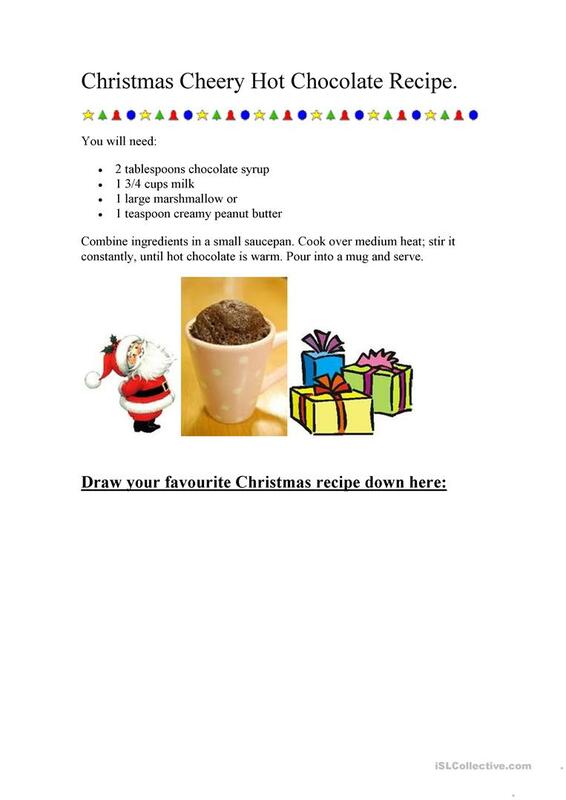 Christmas Cheery Hot Chocolate Recipe, very easy to prepare, includes an extra exercise: the pupil will draw his favourite Christmas recipe after the listening/reading activity. The above downloadable worksheet is best suited for elementary school students at Beginner (pre-A1), Elementary (A1) and Pre-intermediate (A2) level. It is great for practising Present simple tense in English, and was designed for strengthening your groups' Listening, Reading and Writing skills. It is focused on the vocabulary topic of Christmas.